Epigenetics is the study of the interactions between DNA and the multitude of smaller molecules found within cells, which can activate or deactivate genes. It might actually complicate the old ‘nature versus nurture’ question even more. Researchers today are often sharply divided on this question, with some of them supporting a blank slate and some of them arguing that people’s fates are sealed as soon as they are born. The people who reject the blank slate idea often have a similarly deterministic perspective on the biology of belief and they typically doubt the power of the mind. These people often scramble to explain the genetically identical twins who manage to have very different health and lifestyle outcomes. The people who believe in the ‘nature’ side of the ‘nature versus nurture’ debate are often going to be more depressed as a matter of course. These people will believe that they have no control over their lives and that everything was decided for them before they were even born. It’s hard to imagine a belief that is more dis-empowering than that. Fortunately, it seems that these people are now wrong on multiple levels. Not only does a person’s environment matter, but it turns out that a person’s environment can actually partly change a person’s heredity. The study of epigenetics indicates that a person’s heredity is actually not set in stone and that while people might not be able to change a given genome, changing the epi-genome is enough to more or less produce many of the same results. Since people’s thought patterns are partly influenced by genetics, the study of epigenetics indicates that it is possible for people to be able to change their thoughts and their psychology to a degree that is even more pronounced than people would have believed otherwise. According to some estimates, around 95% of how people live their lives is determined by the sort of subconscious programming that they have received. The conscious mind is what people feel and use knowingly. Since this part of the mind is always thinking and always being creative and using strategy, something else has to take over for the rest of thought. As such, it is really important for people to be able to really understand their subconscious. It’s a huge part of what they are and how they think. The subconscious mind is shaped by genetics and by the habits and ideas that people learn from their friends, family, culture, and community. People will be following those programs without knowing it, and this is one of the reasons why they seem to fall into the same behavioral and thought patterns that they managed to learn early in life without ever really knowing it. People can reprogram their subconscious minds, thus changing their lives for real. People who adopt certain habits and who practice certain beliefs are eventually going to change their subconscious minds. But of course they do this for a reasonable period of time. Some psychologists categorize this technique with ‘thought replacement.’ This can take a long time, but subconscious mind reprogramming is often very successful partly due to epigenetics. People can use the power of epigenetics to really cause more substantial changes. People often need to be able to change their subconscious minds in order to really change their lives. They can read about systems of self-help and new belief systems. They might understand these systems and ideas intellectually. However, if they only understand them on an intellectual level, they understand them purely on the level of the conscious mind as opposed to the subconscious mind. The biology of belief is partly characterized by a person’s genes and environment, and through epigenetics, genes can be manipulated. People who reprogram their subconscious minds through hypnosis, new habits, or a form of efficient ‘super-learning’ will potentially be able to alter the genes that are contributing to certain life situations. They can turn those genes on and off through the manipulation of the epi-genome. As you read this, you’re probably in need of change in your life. Remember that the practice of meditation is really powerful as the more you practice the easier it will be for you to access the optimal mental state that will enable you to reprogram yourself, i.e. Theta brain state. In this state, you can totally auto-hypnotize yourself and replace old beliefs with new ones. 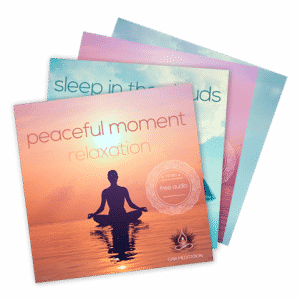 Also, at Gaia Meditation, we have also developed free subliminal audio tracks containing positive affirmations to reprogram your subconscious mind. The big plus is that our recordings also embeds binaural beats that induce Theta brain waves. This will put you in an ideal state for subconscious reprogramming. Are you ready for the big change? What do you think about the biology of belief and epigenetics? Please let us know in the comments below. What is Zen Buddhism and how to practice it ?